The Make Stress Work for You CPD course for real estate agents in South Africa covers an important topic that concerns everyone. Stress is a known killer and can harm relationships in and out of the workplace. As an estate agent you must be able to control stress within yourself as well as be able to detect and manage stress in others. This online course includes course material supplied by Harvard Business Review and ten multiple choice questions, and will earn you 1 CPD point in the non-verifiable category. You will read through the articles in the course material which will take you approximately 45 minutes. Once you feel you have a good understanding of the course material, you can complete the multiple choice quiz online. These will automatically be marked by the computer training program. Once you have been found competent, PropAcademy will issue you with a certificate of competency which you must print and place on file for the EAAB CPD audit. 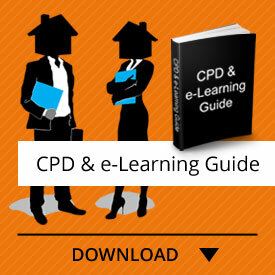 Click the “Take this Course” button below to purchase this estate agent non-verifiable CPD Reading and Publishing Category Make Stress Work for You CPD course today! This course is valid for 30 days. 9 reputed short articles supplied by Harvard Business Review and 1 by Dr Lamb. These make up two modules.